Many homeowners want their house to have curb appeal. They also want their homes to be functional and allow them to do enjoyable things outside. One homeowner may want to add a deck so they can entertain guests outside on Delaware summer days. Another person may want to create an appealing walkway to the house that helps make the house feel inviting even from a distance. In many cases, the homeowner who is planning any kind of exterior home renovations in Hockessin, DE will want to make sure they have someone on their side who will guide them through the process of creating their desired proect. Skilled home construction professionals at First State Contractors can provide the kind of assistance any homeowner needs to have their ideal exterior. Working closely with this company allows the homeowner to fully understand how best to accomplish the plan they have in mind for their house. Our craftsmen can take an idea that is only an idea and turn into a beautiful reality. Any exterior home renovations requires the expertise of contractors with vision and imagination as well as know-how. The homeowner can consult with skilled professionals who will carefully listen to their plans for the exterior of their home and then show them how to get the front porch they’ve always wanted or the second garage they like quickly and easily. 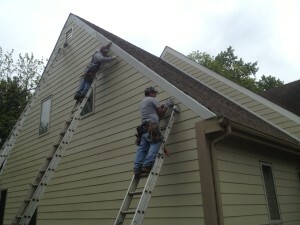 With their input, a home owner can be assured of having the ideal home exterior renovation.